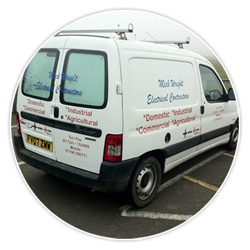 Here at M Wright Electrical we are domestic electricians offering all types of services including PAT Testing and all types of Electrical testing. We are based just outside Scunthorpe and cover Brigg, Gainsborough and surrounding areas. With over 40 years of trade experience, we cover all types of electrical testing, inspection, pat testing and installation for your home. We also provide commercial services which sees us work with established businesses throughout Lincolnshire and Yorkshire. All work carried out in accordance with the 17th edition of the IEE Regs. We are NICEIC registered and Part P Approved. We offer a 24 hour service, so you can rely on us to provide a safe, competent and comprehensive electrical service. Contact us to day for a free estimate. Why choose M Wright Electrical for you domestic, commercial and solar pv panel installations?